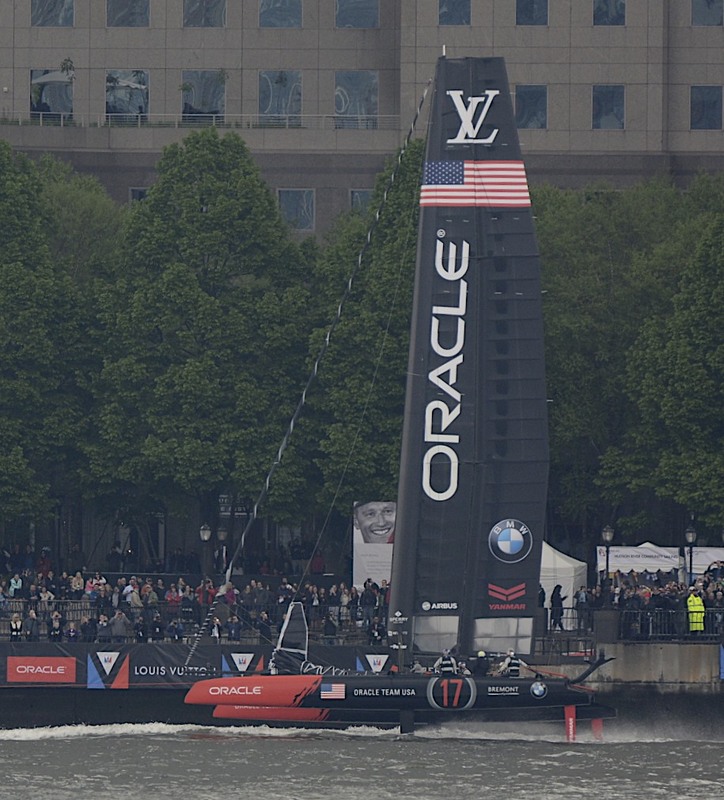 We had the pleasure to see some of the Louis Vuitton America’s Cup World Series in New York Harbor last week-end. 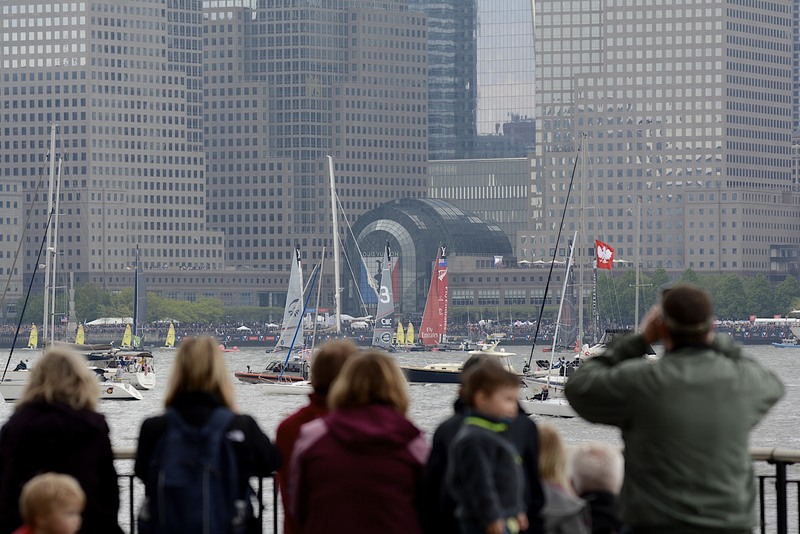 With crowds lining both sides of (and on) the Hudson, the unique and expensive racing sailboats were impressive. 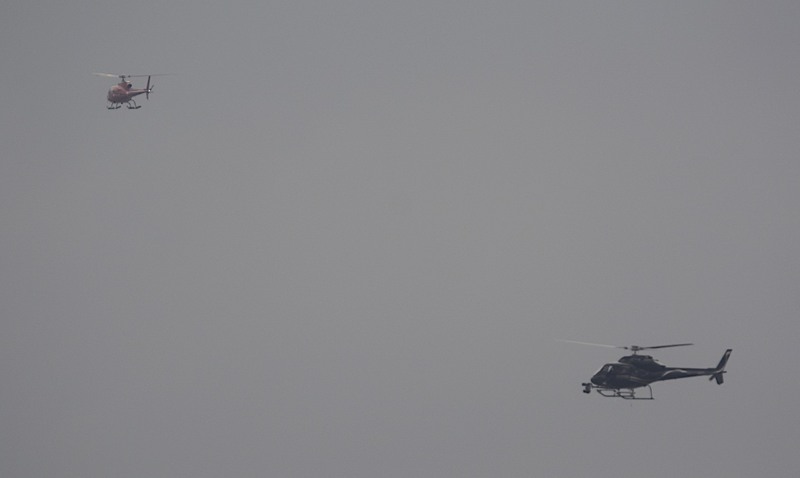 Overcast skies dominated the first of two days, and racing was limited due to less than acceptable wind. 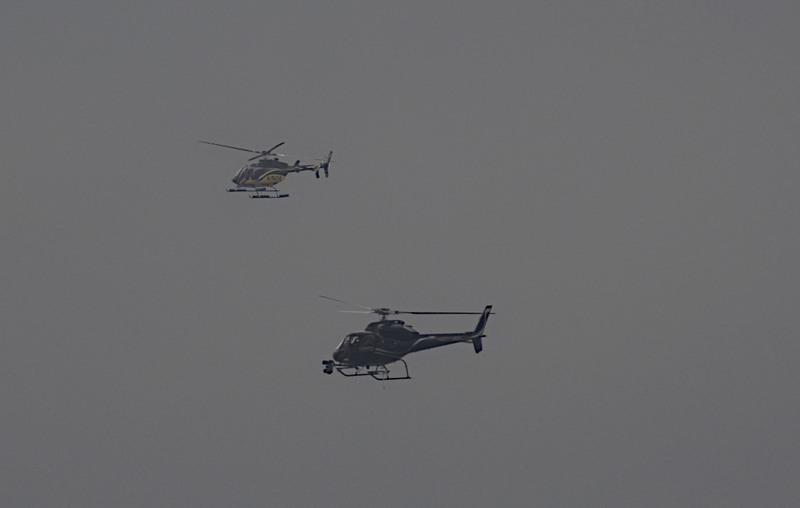 Overhead, however, were the ever-present helicopters, offering race coverage and sightseeing perspectives for those fortunate… or were they? 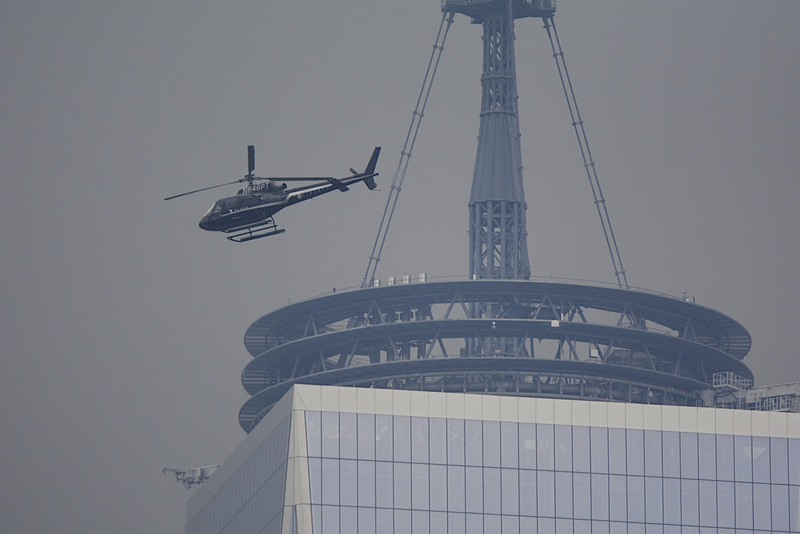 Although it looks worrisome from the camera’s long lens, day in and day out “Air Traffic Control” manages to do a remarkable job of keeping these helicoptors spaced apart within controlled flight paths – a fact underscored by safety records. I captured the official event photographer as he captured us, from our vantage point below the iconic Colgate Clock, in Jersey City. How do you.. Part 37.. I see the secret propulsion system in thr first pic ( wordpress better detail)… A very big guy has picked up the ‘Fly Emirates’ Cat and is running along the bottom. 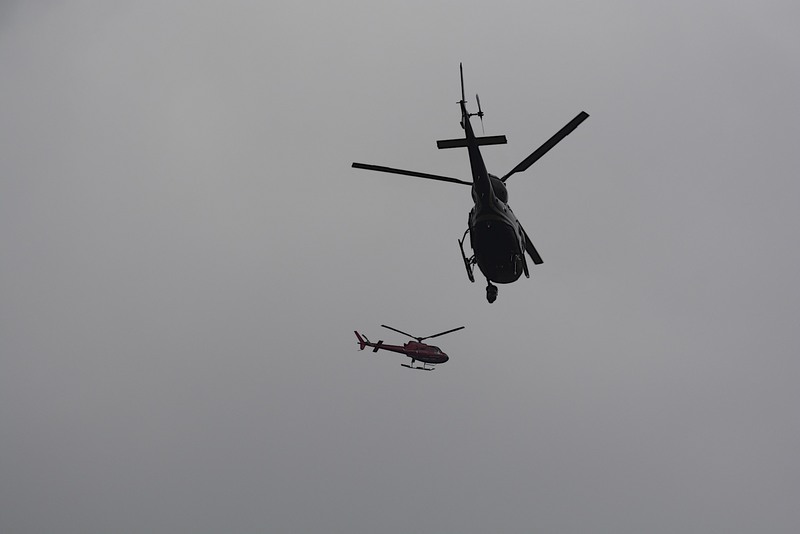 and then … You pegged a passing Helicopter in front of the official photog! Of course we’ll be able to find that aerial Clock pic somewhere in the news coverage! As usual, your Depth of backstories is unique. Nice shots! We saw some of those racing ships in Auckland in 2011. We visited New York in 2007 and Ground Zero was just a huge hole in the ground. 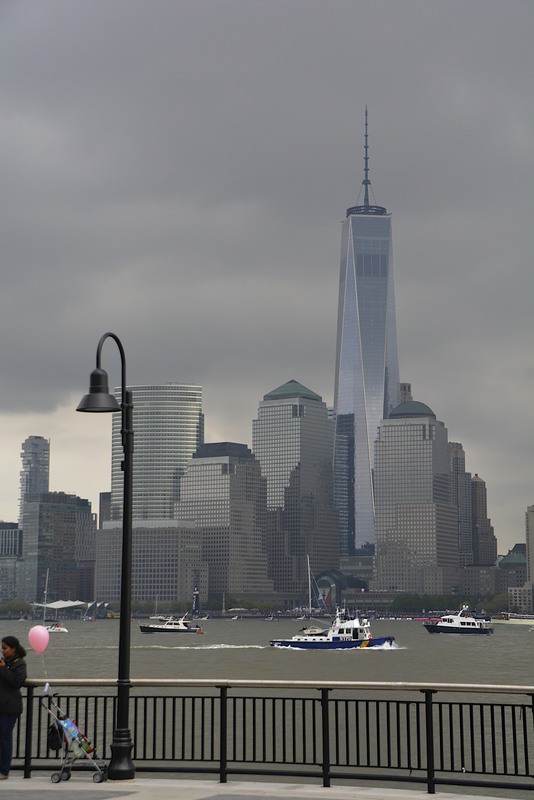 Last week we visited NY again on our way to Europe and saw the completed WTC — what a sight! I was heavily into America’s Cup when it was here in San Diego.